The market has stayed hot through the first 3 months of 2017. We are still a long way from a full recovery to 2005 prices, but this is the best market with the most buyers and highest prices seen since the downturn began. There are not any signs of a slowdown on the immediate horizon. In Gulf County and Mexico Beach, these 131 properties are currently under contract. These 172 properties totaling $36,037,601 in sales sold in the first quarter of 2017. The Port St. Joe housing market has already seen over a 16% increase in prices from last year and continues a big rebound that started around the middle of 2016. House prices for the Cape San Blas market continue to race up with average selling prices now over $150K more than they were in 2013. Homes in the Mexico Beach area saw a small increase in average selling prices with those closer to the beach seeing more of an increase than those further from the water. An extremely low inventory for homes in the City of Port St. Joe combined with steady demand has now led to average selling prices increasing from $129,379 in 2013 to $174,220 less than 4 years later. All signs point to prices continuing to rise with housing inventory now at a 12 year low. There are now only 7 homes priced under $300K left on the market in “town”. The North Cape remains on fire with beachside X flood zone homes being in highest demand. Only these 6 homes are left which meet that criteria. Gulf view homes in the Mexico Beach area have seen the highest demand. There’s still a fair selection with 41 Gulf view homes priced from $210K to $1,750,000. Many homeowners lost significant money in the downturn that began in ’05 and are leery of the strength of this market. The biggest difference I can put my finger on is the current housing inventory vs ’05. You can see below how many homes were on the market in 2005. There were 2 to 3 times as many homes on the market then and less people living and vacationing here then. This supply and demand factor was one of the main signals of the crash to come. These much lower inventory numbers of 2017 point to a healthier housing market that’s positioned for continued growth. Hindsight is always 20/20 and many potential home buyers, myself included are kicking themselves for not buying 3-4 years ago. While we may have missed the bottom of the housing prices, great deals are still available on vacant lots that can be purchased at near 12 year lows. The number of vacant lots, particularly those further from the water, remains high and prices have seen little increase. I’m encouraging people that know they want a home in this area, but that aren’t ready to make a purchase in the hundreds of thousands for a home and those that just want a good investment to consider vacant lots this year. There are still 57 lots to choose from in the Mexico Beach to WindMark area with asking prices of $70K or less. These lots were selling on average from $175K-$250K in ’05. There are still 29 lots in the Port St. Joe market priced under $50K. Many of these including the Southgate and Heron Walk were selling in the $150k’s in 2005. 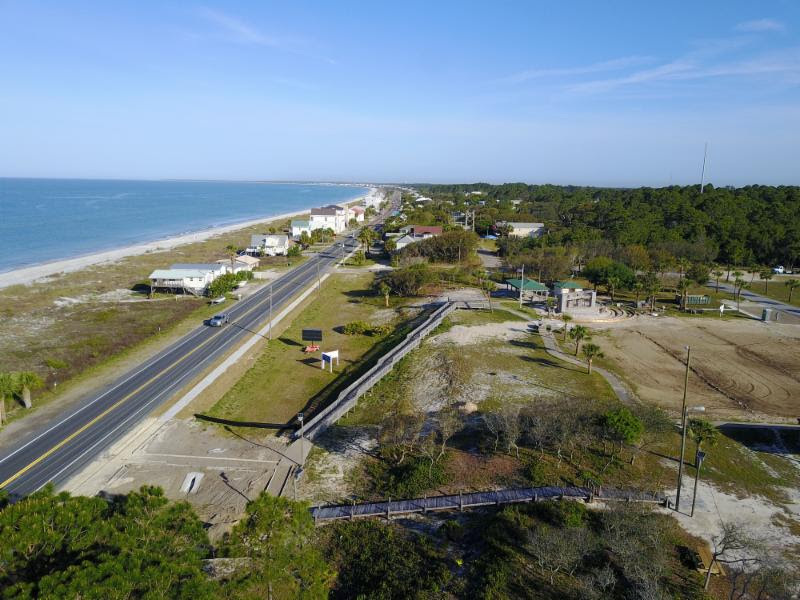 There are still 42 lots in the Cape San Blas area priced under $70K. Many of these were selling for $300K and above at the peak. Low interest rates are helping to fuel this market. Many potential homeowners are wanting to make sure they are able to purchase while rates are low. While the FED has raised their rates recently, mortgage rates have actually dipped. The National average for a 30 year mortgage is just over 4% with 15 year mortgages under 3.5%. BP money from the fines BP paid for the 2010 Deepwater Horizon spill is starting to flow and proposed infrastructure projects are starting to become realities. While the amount of money Gulf County and Mexico Beach may receive is still a huge debate, there are millions coming for sure, possibly tens of millions. This article from The Star published two weeks ago references up to $90 million coming to Gulf County. 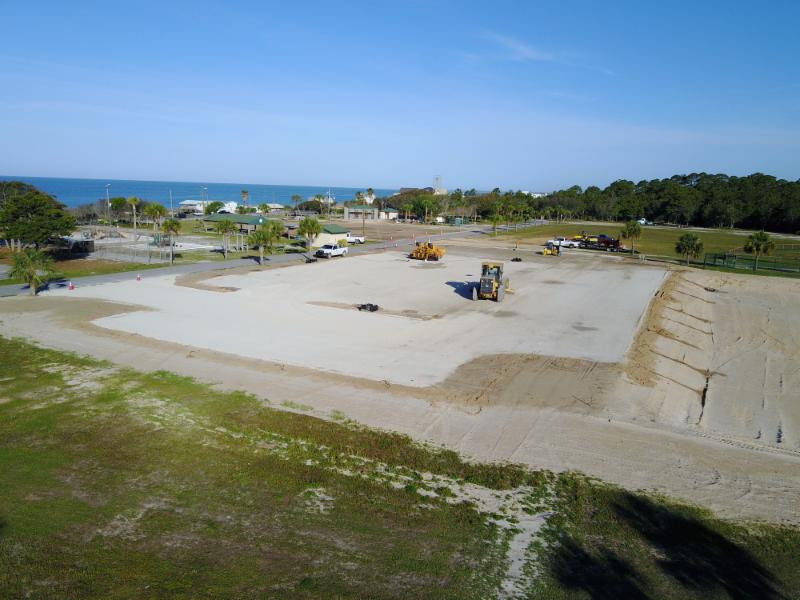 Projects like the renovation of Beacon Hill Park and the sidewalk project connecting St. Joe Beach to Mexico Beach are well underway and will be finished this year and are adding value to the whole area. Construction remains red hot as well. The number of single family homes being built for individual owners is at an all time high. There aren’t any large condo or home projects like Barefoot Cottages being built, but the number of people building their dream houses is encouraging and raising the housing quality in the area.